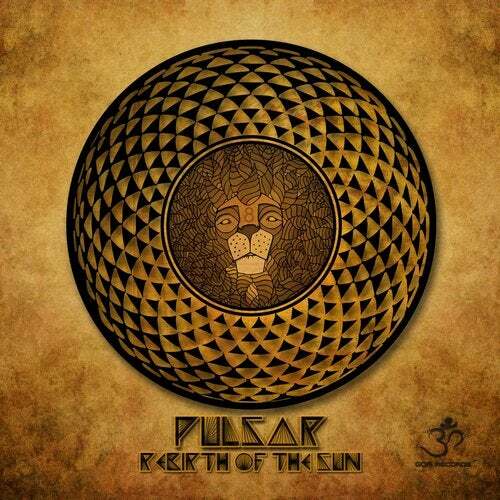 Goa Records eagerly presents "Rebirth of the Sun" the long awaited solo album from one of the most prominent Chilean Progressive and Psychedelic Trance producer "Pulsar". Manuel has already released two full length collaboration albums, in 2013 'Uplifting Minds' with his well-known duo project with Thaihanu and in 2014 with Liquid Sound. Now "Rebirth of the Sun" builds on all of his past experiences and reflects the insights he learned during his first and second world tours meeting many talented musicians along the way. Releasing and collaborating with top Psychedelic Trance artists, this album is a mix of musical experiences and travels, an entire trip from progressive sounds to full on vibes, trance melodies, nature sounds and powerful bass lines. Remixing and collaborating with Elegy, Ascent, Norma Project, Thaihanu, & Angel Esteban, this album definitely needs to be part of your collection. Pulsar is has built a steady and well-earned reputation by compiling many popular compilations on top labels including the series Dancing On the Beach (Zoo Music), Goa Sun (Goa Records) and enjoying countless releases on all the top labels like YSE, BMSS, Ovnimoon Rec, Power House, EDM Rec, Geomagnetic, Dacru, PanMusic and so many more. Tested and proven on many dance floors across the planet the world is demanding a new album from Pulsar and his 3rd full length delivers on every level. Dialing in the fullest frequencies, and layering cosmic atmospheres that transcend verbal description. His catchy melodic hooks find a permanent home in your minds ear, and the dimensions transpire into glowing prismatic symphonies stretching out like brightly woven strands coalescing into gigantic mesmerizing hyper-cubes. Your ears perceive the harmonic sounds of the galaxy spinning, pulsing, and once more giving birth to an unforgettable new star. For his day job Manuel Benavente runs a school he started teaching the music software Fruity Loops as an official training site. From there his stellar nursery pumps out new stars. Manuel's ceaseless dedication to our precious psychedelic trance music scene has enabled him to overcome many challenges and always continues to open doors and usher in a bright new dawn for the next generation of producers.